All SKY LODGE homes currently listed for sale in Park City as of 04/19/2019 are shown below. You can change the search criteria at any time by pressing the 'Change Search' button below. "The Residences at Sky Lodge offer Luxury living directly on Historic Main Street in Old Town Park City Utah. This vibrant property is a fractional ownership with a sleek modern design with all the desired amenities. With unmatched service, you will enjoy valet parking, full service front desk and concierge, shuttle service, owners storage, fitness facility, dining, pool and spa. The Sky Lodge is across the street from the Town Lift ski chair for access to world class skiing at Park City Mountain Resort. Within walking distance there is endless shopping, dining, coffee shops, art galleries, nightlife. Property Taxes are paid through the HOA dues. " "The Residences at Sky Lodge offer Luxury living directly on Historic Main Street in Old Town Park City Utah. This vibrant property is a fractional ownership with a sleek modern design with all the desired amenities. With unmatched service, you will enjoy valet parking, full service front desk and concierge, shuttle service, owners storage, fitness facility, dining, pool and spa. The Sky Lodge is across the street from the Town Lift ski chair for access to world class skiing at Park City Mountain Resort. Within walking distance there is endless shopping, dining, coffee shops, art galleries, nightlife. Property Taxes are paid through the HOA dues. Subject to any and all mortgages which may affect the property. Also all sales are subject to final approval by HOA." 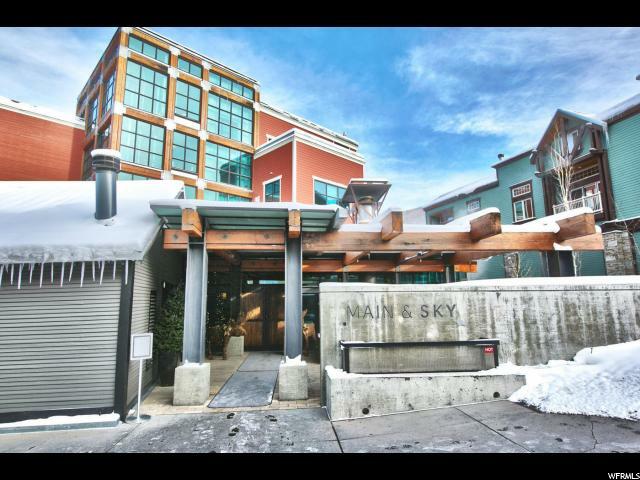 "The Residences at Sky Lodge offer Luxury living directly on Historic Main Street in Old Town Park City Utah. This vibrant property is a fractional ownership with a sleek modern design with all the desired amenities. With unmatched service, you will enjoy valet parking, full service front desk and concierge, shuttle service, owners storage, fitness facility, dining, pool and spa. The Sky Lodge is across the street from the Town Lift ski chair for access to world class skiing at Park City Mountain Resort. Within walking distance there is endless shopping, dining, coffee shops, art galleries, nightlife. Property Taxes are paid through the HOA dues. Subject to any and all mortgages which may affect the property. Also, all sales are subject to final approval by HOA." "The Residences at Sky Lodge offer Luxury living directly on Historic Main Street in Old Town Park City Utah. This vibrant property is a fractional ownership with a sleek modern design with all the desired amenities. With unmatched service, you will enjoy valet parking, full service front desk and concierge, shuttle service, owners storage, fitness facility, dining, pool and spa. The Sky Lodge is across the street from the Town Lift ski chair for access to world class skiing at Park City Mountain Resort. Within walking distance there is endless shopping, dining, coffee shops, art galleries, nightlife. Property Taxes are paid through the HOA dues. Subject to any and all mortgages which may affect the property. Also, all sales are subject to final approval by HOA. " "The Residences at Sky Lodge offer Luxury living directly on Historic Main Street in Old Town Park City Utah. This vibrant property is a fractional ownership with a sleek modern design with all the desired amenities. With unmatched service, you will enjoy valet parking, full service front desk and concierge, shuttle service, owners storage, fitness facility, dining, pool and spa. The Sky Lodge is across the street from the Town Lift ski chair for access to world class skiing at Park City Mountain Resort. Within walking distance there is endless shopping, dining, coffee shops, art galleries, nightlife. Property Taxes are paid through the HOA dues. Subject to any and all mortgages which may affect the property. Also all sales are subject to final approval by HOA. "